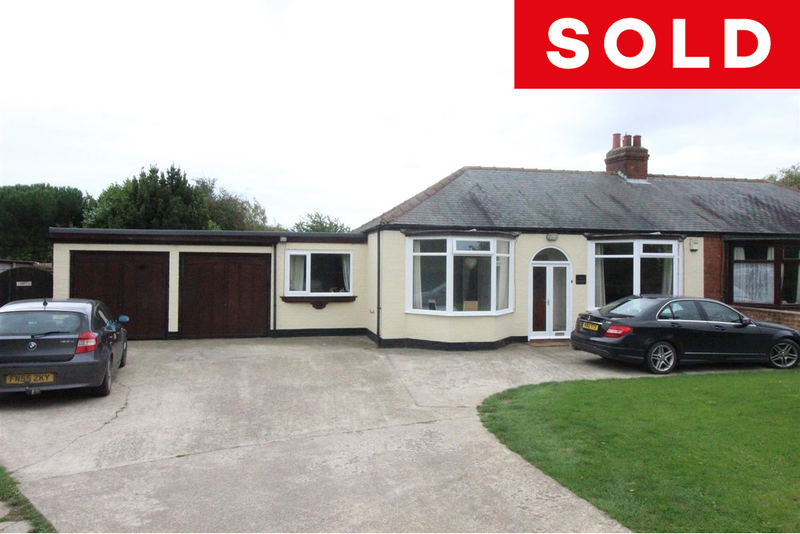 This lovely semi-detached bungalow would be perfect for a large family. The property is situated in the delightful east Hull village of Keyingham close to well regarded schools and local amenities with good transport links to both Hull city centre and the market town of Hedon. A particular feature of this property is the large rear garden which also contains a Stable that could be adapted for anyone looking for a property with equestrian facilities. The Bungalow itself has had new double glazing, a new boiler and a new flat roof in the past year and now boasts a stunning living room, a lovely kitchen/diner, a convenient utility room, three double bedrooms with a walk in wardrobe to the master, a lovely family bathroom, an additional WC and an annex (no building regs) offering additional living facilities complete with an en-suite shower-room.